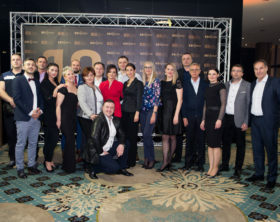 BBI Centar, retail and office development located in the heart of Sarajevo, celebrated on the 6th of April its 10 years of operations. BBI Center, shopping galleria in the very heart of Sarajevo, is offering one available unit within its premises. 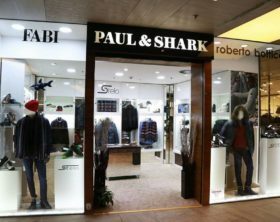 BBI Centar, a leading multi-functional shopping and business center in Bosnia and Herzegovina, has recently added the multi-brand fashion retailer SPORT LIMITED by STELO to its lineup of tenants. Sport Vision, a leading retailer of sports goods in the South East Europe region, opened on the 12th of July its new multi-brand store in BBI Centar, located at Trg djece Sarajeva no.1 Street in Sarajevo, Bosnia and Herzegovina. Ljepe Kućne Stvari d.o.o, Bosnian retailer of home decor products, opened on the 10th of July a new store in BBI Centar in Sarajevo. With the new opening the retailer today operates two stores in Bosnia and Herzegovina. On the 16th of December 2015 the first Ask Me multi brand store in Sarajevo opened within BBI Centar mall, offering fashion by Italian and Turkish brands AVVA, Cazador, Valentino, CMN, Bottega, Setre Textile, ADL and Keys. Omega d.o.o., exclusive representative of the Turkish household electronics retailer Beko for Bosnia and Herzegovina, has this month opened its new store within BBI Centar in Sarajevo.